Tension headache is also known as tension-type headache. This is one of the common type of headache experienced. The pain due to tension headache is generally experienced in the lower back of the head, scalp, eyes, neck, and muscles on the both side of head. Bear with sore head becomes common for the urban populace as relentless competition of metropolitan life has tied them up with sheer irritation and annoyance. It is not only the case of the youths or the corporate employees but the children, the teen and even the oldies are also receiving equal frustration due to several reasons. However, the basic fact is, the current lifestyle is becoming one of the prime reasons for tension Headaches. 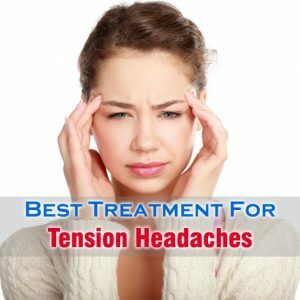 Read on the following part of the article to know about best treatment for tension headaches. The most common approach to handle headaches is taking over-the-counter (OTC) pain medications such as aspirin, ibuprofen, or acetaminophen. But the medical professionals always suggest to get a control over the intake as excessive OTC can bring upon a few mal-effects. At times, commonly used drugs are not adequate to cut down frequent tension headaches and then, one may require some prescribed medicines like Indomethacin, Opiates, Naproxen, Ketorolac. These drugs are chiefly pain killers but if the case is severe, the doctors look for alternatives and suggest taking muscle relaxant to prevent muscle tightening. SSRI is best treatment for tension headaches, when cause of headache is stress. As discussed before, tension headache and psychological upheavals are closely related. Thus, at times, selective serotonin reuptake inhibitor plays a great deal to assist the patient to come over the stress. As a part of the treatment the techniques like Biofeedback, cognitive behavioral therapy, acupuncture are gaining popularity. Taking a hot or cold water shower, or neck and head massage, and learning stress management techniques will also helps in relieving tension headache pain.